Evolution in mobile apps for enterprises has helped us in many ways by simplifying our daily tasks. There are immense benefits for developing mobile apps for your enterprise, but the lack of mobile app security policies like security awareness, improper training, design complexity and multi-layer approach obstructs the enterprise mobile security and it is slowly becoming a major issue within organizations. This article explains the five major mobile app security issues faced while developing your enterprise mobile app. The high availability of mobile devices today has broadened the opportunities for enterprises – empowering everyone right from field service workers to project managers. The easy accessibility of applications and enterprise data at their fingertips has helped them to add substantial value to the organization. However, with the numerous benefits of enterprise mobility, comes along enterprise mobility security threats too. It is essential for enterprise IT departments to be cautious about the issues related to mobile app security. Moreover, Bring Your Own Device (BYOD) policy adopted by organizations and consumerization of IT in the workplace has further increased the necessity of security in enterprise mobile management. File transfers over mobile devices have become a major concern for enterprise mobile app security in organizations today. File transfers via devices such as iPad and other tablets lack the native file storage systems, which increases the threat while transferring a file. Employees thus are more dependent upon consumer driven workarounds & synchronize applications. Employees today use many enterprise apps for accessing its organizational data, which is at a great risk in case their device is stolen or lost. Although security issues related to loss or theft of mobile devices is not new, it is becoming a major enterprise mobile app security issue because of the increasingly mobile workforce. With the lack of built-in server control & remote management of mobile devices, the data stored cannot be wiped-out remotely or locked by the organization. Thus, if the device falls into the wrong hands can compromise your enterprise data. 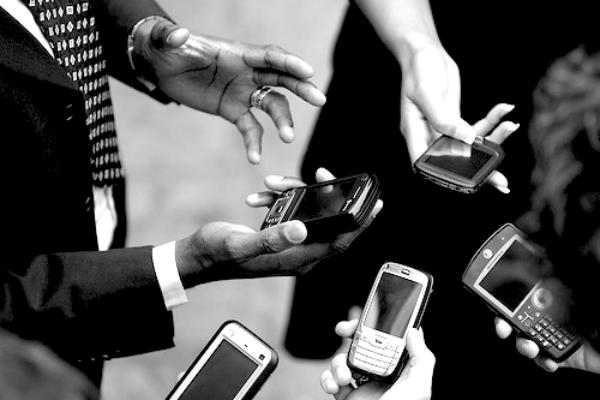 Employees, in general, are often negligent about mobile phone security. 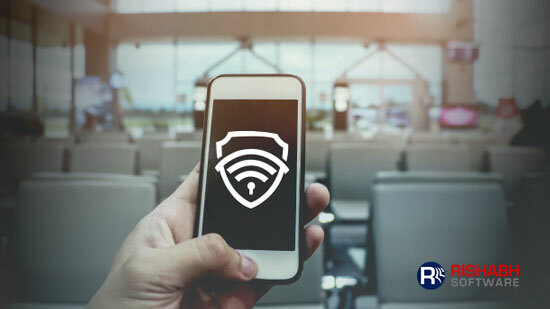 According to a recent report from Juniper Networks, Wi-Fi attacks are on the rise. This is because open connections provide hackers an easy access to a user’s social network & email data. Furthermore, public Wi-Fi networks, the ones appearing as ‘closed hotspots’, are risky as well. Like everything in this world, malware to evolves with the changing technology. A well-disguised malware as Android applications has brought the mobile app security issue to the forefront in enterprise mobile security. iOS devices, however, are not yet a primary target for Trojan apps, mainly because of Apple’s closely monitored app store. The devices, though, are not immune to viruses. Some experts believe that if one owns an Android or an Apple device, he or she is 2.5 times more likely to download malware today than they might have a couple of years back. Unclear corporate policies with respect to new technologies while supporting employee benefits are often disregarded as being a security risk. However, recent reports suggest that unclear enterprise security policies in an organization act like an open invitation to major security risks. Enterprises are often lenient when it comes to employee’s choice of devices and applications accessed in order to boost performance. However, enterprises are slower in comparison to their adoption rate of new technology and implementing policies for addressing the specific threats that the new technology can bring in to the workplace. Manage your enterprise mobile app security issues by working with a reliable technology partner like Rishabh Software, to safeguard your enterprise data. For more information on our custom mobile app development services, call us at 1-877-RISHABH (1-877-747-4224) or fill in the Contact Us Form. How To Strategically Strengthen Your Enterprise Mobile Security?